Jessica received her Doctorate of Physical Therapy from Northern Illinois University in 2017. Prior to beginning her doctorate in 2014, Jessica worked as a Physical Therapist Assistant since 2008 in various clinical settings. During her graduate education, her professor inspired her to obtain post-doctorate residency training, which brought her to MTI Physical Therapy and Washington state. 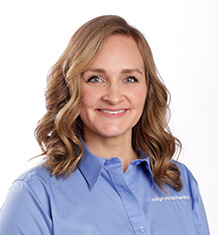 She has received her specialization in orthopedic manual therapy through the Ola Grimsby Institute and is currently enrolled in the fellowship program to be completed in January of 2020. Jessica has a special interest for orthopedic physical therapy, as well as concussions and pelvic health. Her biggest goal with patients, is to listen to their concerns and personal goals, and use all of the tools she has available to have them achieve their best self. Outside of clinical practice, Jessica enjoys searching for good vinyls, hiking, yoga, traveling, and experimenting with new recipes in the kitchen. She is always on the look out for her next adventure or her next goal to achieve, hence the nine years of additional education.